An Interview With Nova's Jeph Loeb! 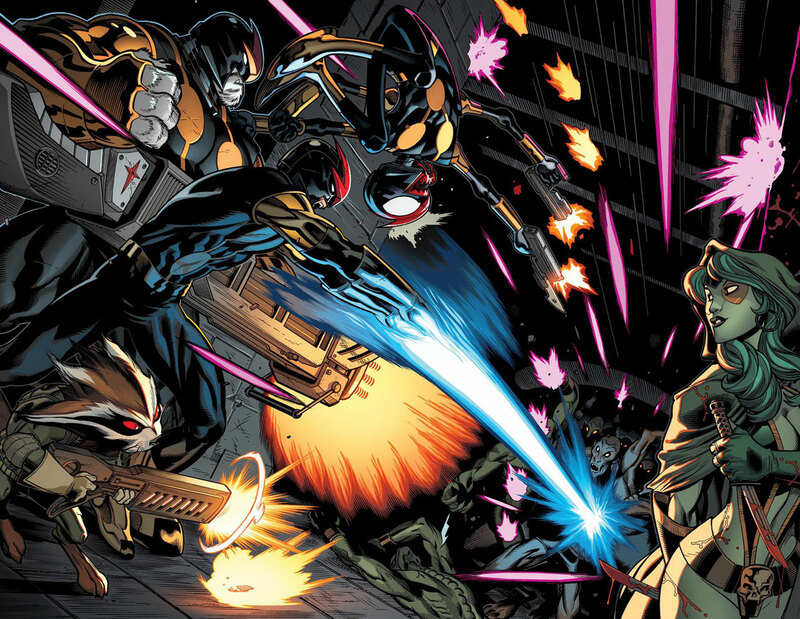 As the launch of Nova's new series gets closer, the Nova Prime Page was able to ask series writer Jeph Loeb a few questions about Nova. Jeph was very generous and took the time to answer some questions about the upcoming Nova series! I'd like to thank him for his time and answers and Nova' editor Stephen Wacker for his help! What can you tell us about Sam Alexander's personal backstory and what type of supporting cast will he have in the series? Sam lives in a small town in Arizona. Carefree, Arizona, population 3,410. He's in high school and that's a cast we'll see in the first issue. His family is important - his father in particular and then his mom and little sister. This is a kid who never dreamed that he'd go anywhere further than his own backyard - and now he has to come to terms with his backyard might be the entire Marvel Universe. Does Sam's origin take place during Rich's time as Nova Prime or after he disappeared at the end of The Thanos Imperative? The reason I ask is that in some of the preview pages for Nova #1, we see members of the Nova Corps fighting in space. Since Richard Rider had all of the Nova Force inside him, are these particular Novas (and also Sam) powered by something different than the Nova Force? You'll have to see in the first issue. The story of the Novas in those preview pages take place in a specific time and are a specific group. We will acknowledge and are very respectful to the stories that took place with Rich Rider and The Nova Corps. In Avengers Assemble, we saw the return of Thanos and Starlord from the Cancerverse. What led to the decision to go with a new Nova instead of simply bringing back Richard Rider? After you've read the first five issues, ask us again. We're telling a story of a specific boy who comes to terms with something...unexpected. It's a huge adventure - filled with human spirit and spectacular artwork by Ed McGuinness. We hope Nova fans - as well as new readers - will give the book a look. It's always a tricky proposition when launching a legacy character (as the creative team who created Green Lantern Kyle Rayner can attest to). 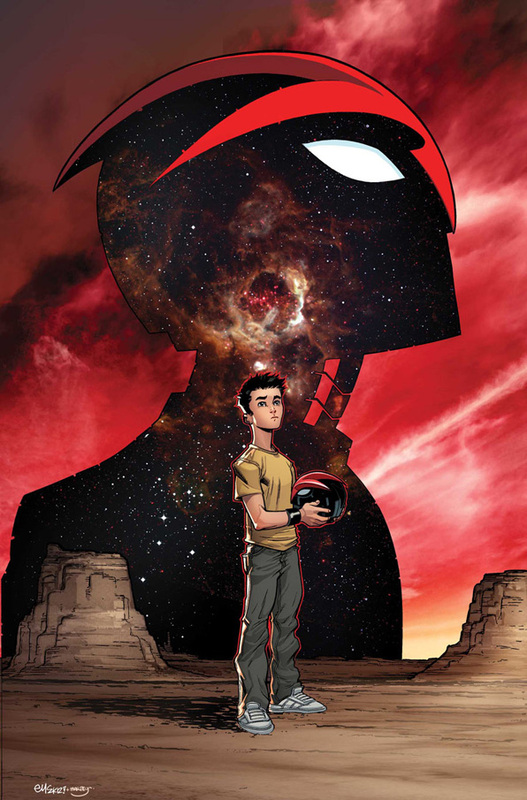 How do you find that balance between getting the attention of new readers and being able to retain the interest of the long-time fans of Richard Rider as Nova? We never set out to replace Rich Rider. He is not Kyle Rayner who lived in the shadow of Hal Jordan from the beginning. Rich Rider's fantastic story was told and concluded and we're respectful of that and his loyal fans. This is a story about Sam Alexander and what happens when he inherits the mantle of this wonderful creation. As a fan, NOVA as a character deserves to have a monthly comic that resonates with all the Marvel Universe. We hope Sam achieves this, not only here, but in other books as well (like the AVENGERS). After the initial origin story arc, what can we look forward to reading in Nova? The plan is to then integrate Nova into the Marvel Universe proper. Who knows who he'll meet next?! It's a very exciting time for Nova, Nova fans and everything NOVA!! !